You are at:Home»Cruise Tips»What Do You Pay Extra For on a Cruise? What Do You Pay Extra For on a Cruise? One of the best things about cruises is that they are ‘all inclusive’, so the major expenses such as accommodation, food, activities and entertainment are covered in one manageable fee. 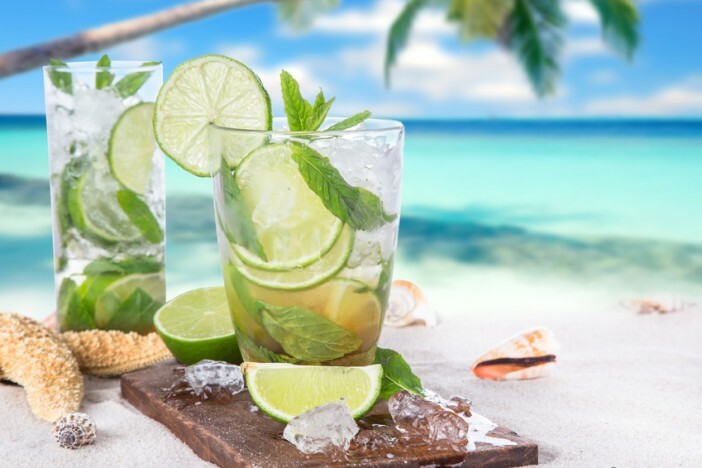 Although some drinks are included in the cost of your cruise, most cruise lines don’t include alcohol in that deal, unless you’re buying a luxury package. You’ll find the choices of drinks that are included limited to tea, coffee, milk and certain juices, and you’ll end up paying extra if you want something different. If you’re working to a budget, keep an eye out for the daily specials that are often offered on board. You’ll also frequently see happy hour deals which can help drive down the costs. If you order a bottle of wine and don’t finish it, you’ll be able to save it for the following night. It’s also worth looking at the beer, wine and fizzy drinks packages before you book, but make sure these realistically represent how much you’re likely to drink, or you won’t be making a saving. Remember you won’t usually be allowed to bring your own alcohol on board so it’s important to plan ahead if you want to keep it cheap. There is always a great range of activities and a wealth of entertainment on offer with the price included in the overall cost of your cruise, but not all activities are free. You’ll find plenty of optional extras too, such as fitness classes, on board tours and wine tasting. You won’t need to buy these if you’re working to a tight budget as there’s so much on offer for free – shows, cinemas and nightclubs are all in the price and on the mega ships, even the coolest activities such as rock climbing, FlowRider and ice skating are included – although if you want private lessons, these will of course cost extra. You’ll also often find a massive range of more unusual activities on the agenda that cost nothing such as cooking demonstrations, free lectures and live music – so make the most of everything that’s included in your itinerary and don’t worry too much about the for-fee activities, unless you have the cash to splash. Although you’ll often find that the whirlpool spas, saunas and steam rooms are included in your cruise price, most of the treatments are not included and the costs can be quite steep. A massage will set you back around £70 – £100 with the more high-end treatments costing as much as £300 a throw. A lot of the on board spas are operated by Steiner’s of London, regardless of which cruise line you’re on, and you need to be ready for the hard sell – don’t be pushed into buying something you don’t really want. To save money in the spa, look out for the special offers and discounts. These are often run on embarkment and port days when the spas can be practically empty. There are also often packages on offer which can provide better value than buying treatments individually – typically these include access to exclusive areas, thermal suites, complimentary fitness classes and one or two luxurious treatments of your choice. If you don’t want to pay someone to do your laundry while you’re at sea, the simple solution is to bring enough clothes. Luggage restrictions vary but for many cruises, there’s no limit to how much you can bring as long as you can fit it in your cabin! There’s usually a weight restriction per bag of around 20kg and if you have transfers, you may find that these services restrict the number of cases you can take. Of course, if you’re going for 10 days or more and taking the family, inevitably you may find you need to use the laundry services. It’s worth knowing that some cruise lines such as P & O have laundrettes on board. You’ll need to supply your own washing powder, although this can be purchased on the ship. Other cruise lines such as Royal Caribbean do not have a laundrette but offer a laundry and dry cleaning service. Fees for doing laundry can quickly mount up for a family – around £2.50 to wash a pair of jeans– so it’s best to pack heavy if you can. If you’re taking the kids on board, you’ll be glad to know that the kids clubs and loads of the activities are included in the price. However, as you might expect, the daytime nursery for your tots is not free – costs are around £4 – £5 per hour per child, although meals are usually included in this price. After hours babysitting is also not free, but the costs are similar. Royal Caribbean for example quote £12.30 per hour for up to three children from the same family. In the UK, many cruise lines include the tips in the overall package, so you might not need to worry about tips. It’s best to check before you go though as tipping is discretionary but sometimes expected and you may need to set aside some money for this purpose. Plenty of staff will go out of their way to make your holiday special, including waiters, assistant waiters, cabin stewards, butlers and the maitre d’ so you won’t feel begrudged about parting with a small extra fee for their efforts. To avoid the hassle of worrying about what to tip, some cruise lines allow you to pre pay tips before you travel, either online or through your travel agent. If these aren’t pre-paid, then they may be added automatically to your ‘tab’ at the rate of around $12.00/£7.80 per guest per day. You can increase, decrease or remove these fees altogether if you feel it is warranted, by visiting guest services. You also have the option of simply paying cash tips to those members of crew that you feel have offered good service. Although your meals are usually included in the cost of your cruise, many ships have alternative restaurants where you can dine for a fee. These are often priced a-la-carte and you can expect to pay between £20 and £50 a head. The benefit is that you get to try out different food experiences and it can be nice to incorporate these into your cruise as a special treat, especially if the restaurant offers a different cuisine or food cooked by a Michelin chef. If you’re tempted by an alternative restaurant but you’re working to a strict budget, some of the cruise lines, such as Norwegian, offer bundle deals that allow you to dine in the alternative restaurants for a package price. You can also find cruise deals that include alternative venues as an incentive to book. If, however, you want to keep your cruise costs as low as possible, the best advice is simply not to be tempted and to make the most of your free on board dining in the main restaurant. Although buying souvenirs and other gifts is completely optional and you can easily do without it, there are a host of beautiful shops on board to tempt you. However, if you’re on board with the kids and cruising on a budget, keep in mind that souvenirs are not cheap – it’s best to set a budget and stick to it. If you’re stopping off at a number of ports, you’ll probably find some of the local markets and street vendors offer nicer items to remember your holiday by at a better price. If you have some money to spend, you’ll often find discounts and bargains are offered on board towards the end of your cruise so keep an eye out for those rather than shopping early on. If you find it hard to be separated from the internet while you’re away, you can of course bring your own laptop on your cruise and use the wi-fi. However, this isn’t cheap by far – you’ll find yourself paying per minute, or buying one of the on board packages which reduce the costs a little. Either way, you’ll find the internet is usually slow so not great value for money. A good alternative is to leave the laptop at home and access the internet through a café or centre near the ports, of which there are usually plenty. Plenty of cafes offer free wi-fi too, so you can connect your laptop or phone while you’re there. If you go for this option, keep in mind the risks involved with carrying around a laptop in tourist areas and try to keep your valuables out of sight. One of the best things about taking a cruise is that your ship will stop at a number of locations, allowing you to explore several destinations as part of your package price. When you arrive at port, you’ll have two choices: to explore by yourself or to take a shore excursion. The shore excursions are the best way to make the most of your time at each location as you’ll get a whistle-stop tour of all the best bits, but they do add to the overall cruise cost, with the fees varying from around £30 for a quick tour around the city to around £120 for an all day trip that often includes snacks and meals. To save on the cost of excursions, remember that you don’t have to book through your cruise line – you can book independently and this can be a lot cheaper. Just make sure you carry out plenty of research in advance to ensure that the local tour company you pick is insured and has a good reputation. An alternative is to create your own self-guided walking tour for free, and you’ll find plenty of guides, maps and planners on the internet to help you.